Building A First-Of-Its-Kind Company From The Ground Up. When John Potthoff, co-founder and CEO of Elligo Health Research, first approached SCORR about his new startup, he had worked with SCORR for several years on multiple marketing campaigns and a major M&A during his tenure as CEO of Theorem Clinical Research. Potthoff’s new company was not only the first of its kind, but it also offered a radical approach to address clinical participation. For these reasons, Potthoff knew it was vital to clearly define Elligo’s position in the market. Potthoff and partner Chad Moore, co-founder and president of Elligo, were intent on revolutionizing the clinical research industry with a novel solution for stubborn clinical trial challenges, including low patient and physician participation. Elligo’s unique approach aims to break down barriers to participation by providing easier access to the 97 percent of physicians and their patients who do not currently participate in clinical research in the U.S. The company’s strategy centers on using electronic health care records to help identify potential patients while simultaneously providing their physicians with the personnel, procedures, technology and infrastructure necessary to conduct clinical trials in their own clinics at no cost. SCORR’s first challenge was to help Elligo define its niche business in a marketplace saturated with companies claiming to impact patient recruitment and enrollment. Because no other company was approaching market challenges using Elligo’s strategy, it was important to establish a marketing foundation that enabled Elligo to stand out as a differentiated solution and to clearly communicate its value proposition to potential investors as well as different audience segments. The goal of the analysis was to articulate a meaningful mission with which to move forward and to discover the best way to educate each audience segment in the company’s value proposition. Concurrent with its market intelligence activities, SCORR was establishing an identity for the company, including a name, tagline and logo that reinforced its differentiated market position. Both the research findings and the company identity were revealed to select stakeholders in the industry and potential investors at an invitation-only event held during the annual Drug Information Association (DIA) meeting in 2016. 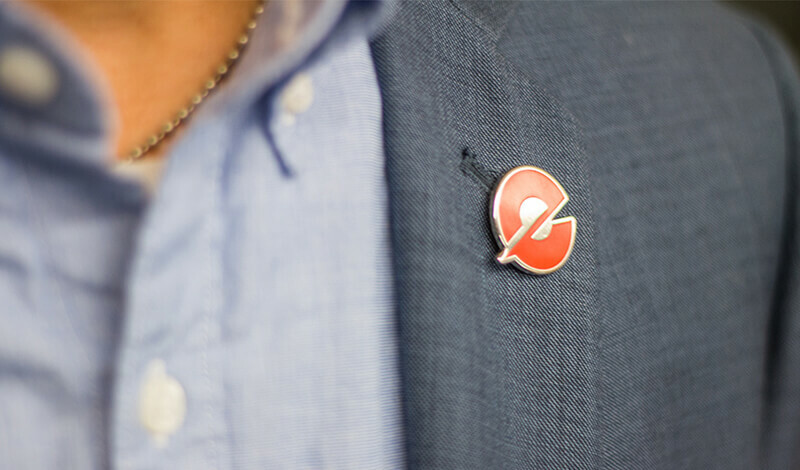 The event was an important milestone in Elligo’s brand launch, allowing it to announce the new company with well-known industry thought leaders showing support. This launch not only helped ensure that all stakeholders were aligned, but also established that Elligo was leveraging new and established relationships within the industry to fund and promote the approach. The last step in this initial phase was to finalize the company’s preliminary messaging for each audience and to build out its business collateral with a suite of marketing tools, including a preliminary website, sales presentation decks and collateral. With positive feedback on Elligo’s business concept and value proposition from investors, CROs and sponsors, it was time to solidify Elligo’s position in the market with more in-depth messaging, visuals and a supporting marketing strategy. SCORR began the second phase of brand development in early 2017 by creating Elligo’s new Big Idea — the visual and verbal articulation of its value proposition. 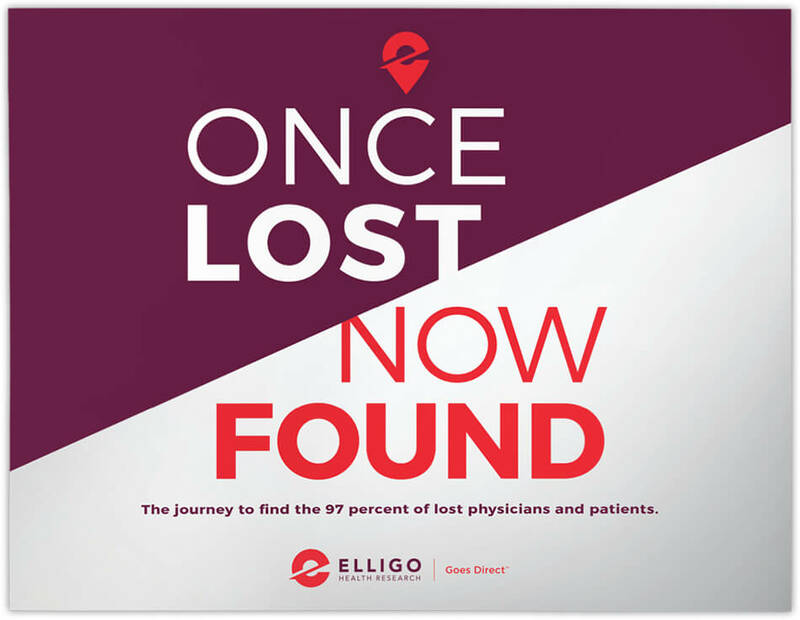 The “Once Lost | Now Found” concept focuses on how Elligo “finds” the 97 percent of physicians and patients not currently participating in clinical trials in the U.S. The imagery is strong, bold and inviting, with a stylized “e” featured throughout the marketing materials and website. 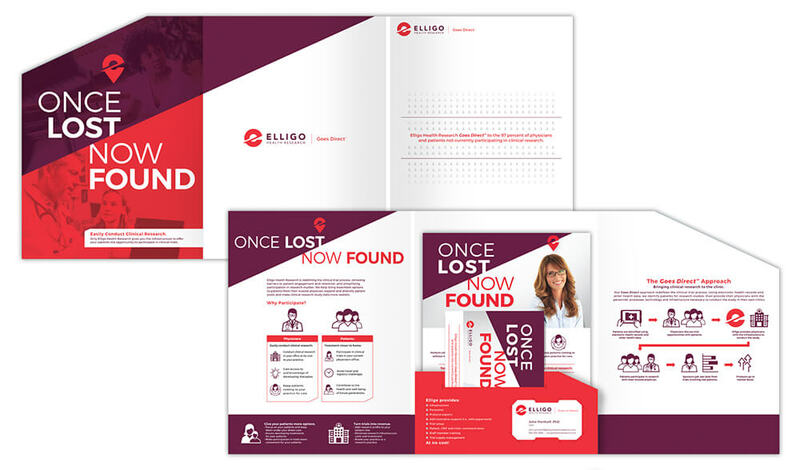 Using a variety of platforms, including collateral materials, exhibit graphics, public relations, social media, email and direct mail, SCORR leveraged a multichannel, integrated approach to build brand awareness among Elligo’s audiences. The messaging was specific for each audience. 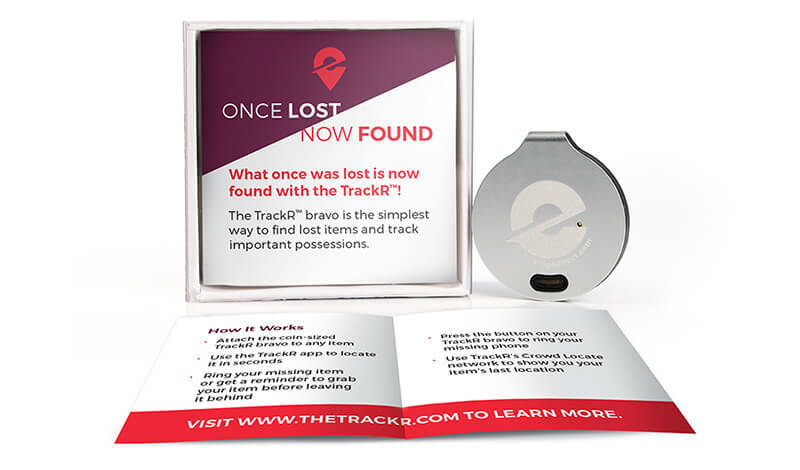 For example, sponsors and CROs were shown how greater participation by physicians and patients means trials, even difficult trials, can be enrolled more quickly and efficiently; physicians were informed they can easily add clinical research to their services because Elligo handles troublesome administrative details at no cost; and patients learned they can access cutting-edge treatment options in the same location where they currently receive care, by doctors and staff they already know and trust. Along with the Big Idea, SCORR completed a website, using the updated messaging to provide information and a flow customized for each of Elligo’s target audiences. 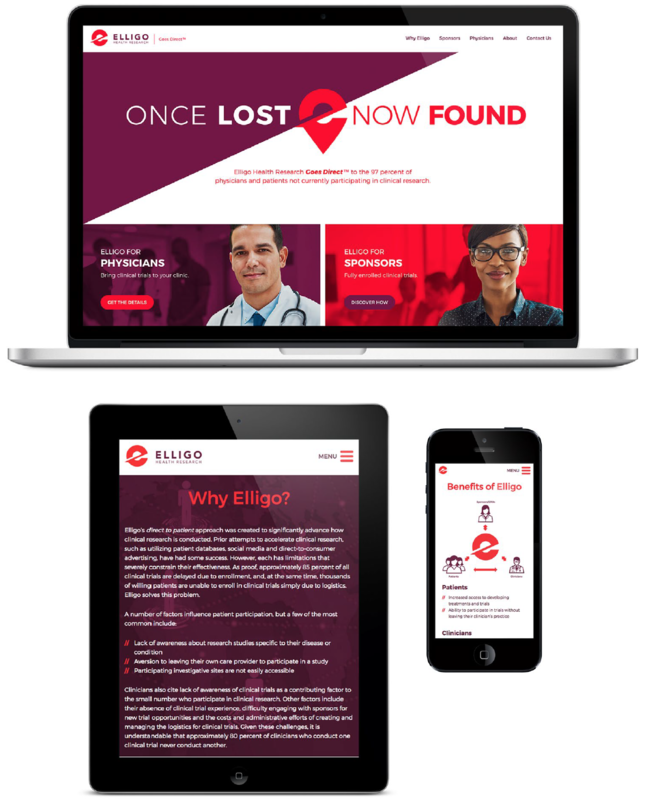 Educational and engaging content was developed and showcased on the site, including videos and visuals that focus on Elligo’s unique approach to clinical ntrial management. 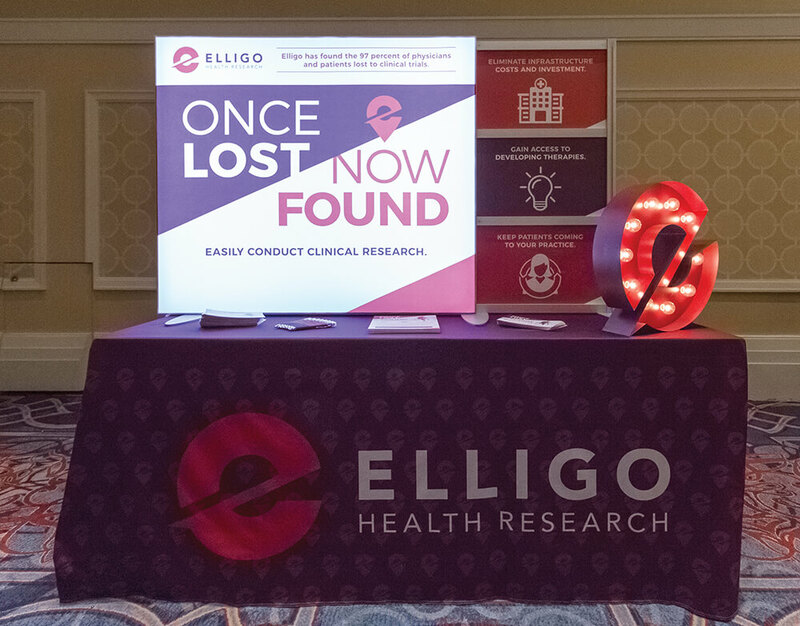 Because Elligo’s top priority target included sponsors and CROs, it was agreed the 2017 DIA annual meeting was an ideal opportunity for a full external brand launch. 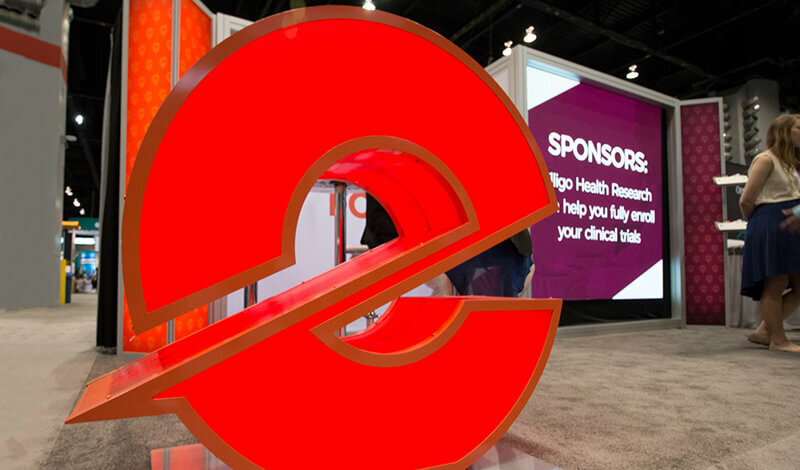 For the conference, SCORR designed a 10’ x 20’ booth with a built-in video wall and custom, illuminated “e,” handled the end-to-end logistics, and provided in-booth staff to support the Elligo team on the floor. Additionally, SCORR planned, promoted and executed an exclusive event for Elligo’s clients, potential clients and relevant media contacts after exhibit hours. SCORR leveraged the videos to create a video-capable brochure that was mailed to potential investigators and Elligo partners. The mailer features the three videos with sound, framed in a brochure with supporting information about Elligo. As part of an earlier comprehensive branding project, SCORR developed an infographic for the Elligo Goes Direct® approach. This process graphic was animated in several of the videos and applied to the mailer. 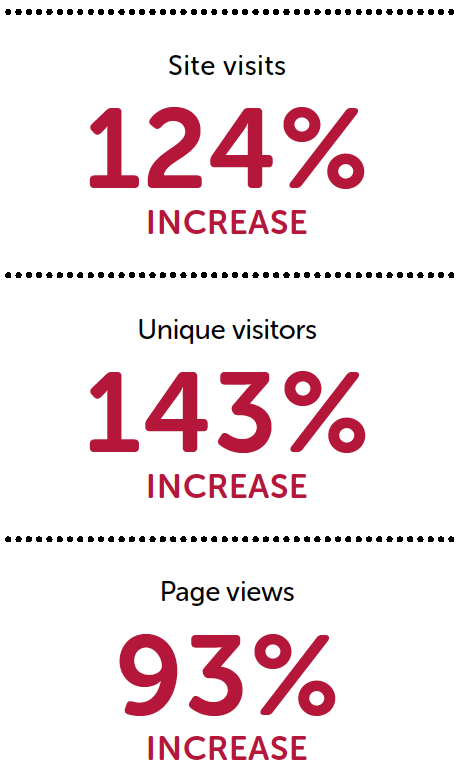 The Elligo brand video drew more than 16,000 views in its first six months and is now featured on the Elligo home page. Likewise, the “Running a Trial With Elligo” and “The Patients’ Experience” videos are featured on the Elligo website. The trade show wall video is now used at events where Elligo exhibits. With substantial success in attracting sponsors and CROs over the initial stages of Elligo’s brand launch throughout 2017, Elligo made engaging physician clinics its priority for the remainder of the year. In support of this goal, SCORR deployed drip campaigns using contact lists to target physicians by region and therapeutic area. 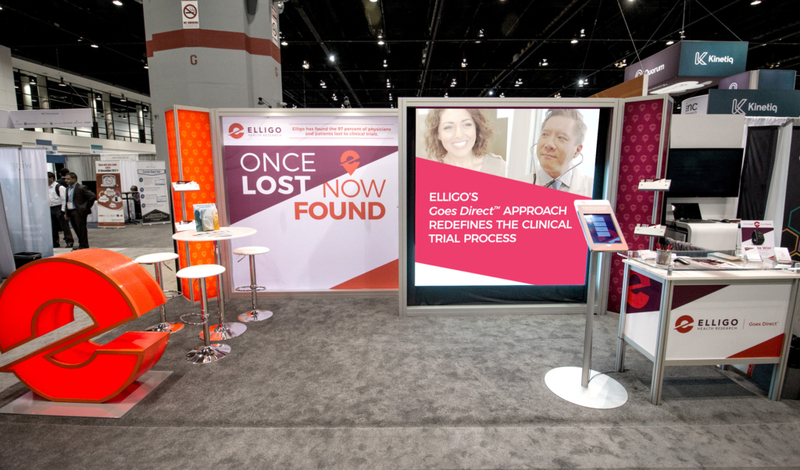 SCORR also developed an exhibition plan for physician-targeted trade shows and created tools for Elligo’s team of clinic developers to take with them on clinic visits. Creating a unique identity in a crowded marketplace is a challenge that is made more difficult by having a first-of-its-kind approach. When a company is following the market, it is easy to position “me too” solutions in consumers’ minds by saying, “It is like X, only it has Y.” Conversely, when a company is leading the market, it is tasked with something much harder: educating customers on what X and Y are, how they work together and in context, and why they are superior to existing solutions that may be completely different. Potthoff chose SCORR to develop Elligo’s initial branding because of his extensive professional experience with the SCORR team, knowing that SCORR is at the forefront of health science marketing, with a global network of industry leaders. SCORR has the focused experience that innovative companies need to build a reputation from scratch that can serve as a solid foundation for growth in the future. Today, SCORR continues to be Elligo’s agency of record and full-service marketing partner. Share: Building A First-Of-Its-Kind Company From The Ground Up.